It is unlikely for any dog to suffer food poisoning from raw meat, their bodies are equipped to process meat and bones fast, due to how nature designed them, with a particularly short gut. 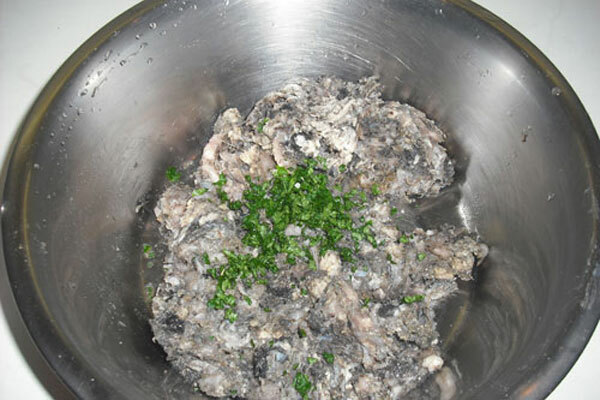 Salmonella is very rarely a factor, but when some dogs first take raw chicken, the Camphylobacter Bacteria can cause diarrhea, easily treated and once they recover, unlikely to reoccur. It is widely acknowledged by the raw food experts that some dogs have a reaction to this bacteria, but their systems soon become used to it. There is the exception, when dogs have auto-immune disease and then they do require specialist dog nutritionist advice, in some cases they are advised not to have raw chicken, as a result. When Pippa first had raw chicken backs, she was so enthusiastic, she would eat them far too fast and then bring them up in a pile, not properly crunched up. This is nature's way of teaching them to crunch them up properly, (the neurons in their brains have to connect, like ours), needless to say Pippa never brings them up now and crunches them up like a true professional. There are occasions when dogs swallow large pieces of bone, BUT due to the extreme acid environment in their stomachs, they are able to digest bones into a powder. Sadly, bones can become obstructive, albeit very rarely. However, with careful introduction, monitoring and feeding the right bones, it can be avoided, it is very low risk. The alternative of feeding kibble and/or other commercial foods, hold far greater risks with periodontal, liver and kidney diseases becoming common place as a result. 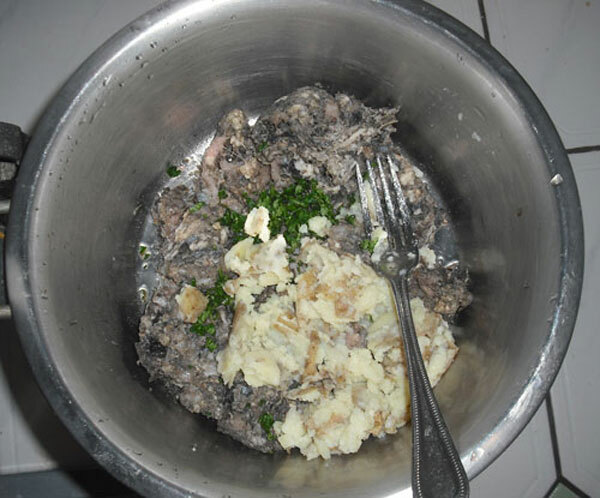 Even some types of cancers are now thought to be caused by feeding junk food as well as vacinosis etc..
Vets often have different advice when it comes to feeding your dog raw food. The little training that vet's encounter during their 7 year course on dog nutrition, amounts to one lecture during this time and as you have probably guessed already, it's sponsored by one of the conglomerates who produce commercial dog food. Let us not forget that veterinary surgeons rely on the sale of pharmaceuticals / medical products and commercial dog foods as part of their income. To substantiate a balanced diet, incorporate all the following food types over a 2 - 3 week period, job done! It really is not natural for a dog to have a ‘complete’ diet in each meal, as suggested by commercial dog ‘food’ advertisements. A raw diet can be changed overnight, after a meal or two of fasting or can be introduced gradually, perhaps starting with a 100 grams of tripe or raw chicken for breakfast, introducing only one new food per week. 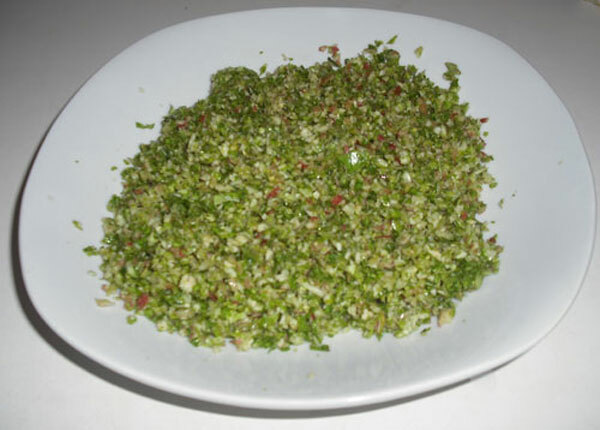 Food scraps can be incorporated into the diet eg pasta, pulses (cooked), cooked egg, rice (brown is best). Grains are not necessary in our dog’s diet, despite what the dog food manufacturers would have us believe. Our furry friends are able to manufacture carbohydrates from fats within the body. In countless cases where dogs suffer with auto-immune diseases and/or allergic reactions, feeding a raw diet can cure the offending allergies when grains are omitted. The only carbs that can be beneficial to dogs are vegetables which should not be more than 15 - 20% of an entire meal, 4 – 5 times a week is adequate. Manufacturers’ of dog food put a huge proportion of carbohydrates into dried food because it is cheap, available and essential to their manufacturing process. It is not possible for the manufacturers to add the necessary proportion of fats to processed food, because it would decompose quickly and not have a long shelf life and If they added sufficient preservatives necessary where there is a high fat proportion, these higher levels would be toxic. 2. Oils - Salmon oil (supply of Omega 3) , cod liver, corn, soya bean, wheat germ oil, safflower, sunflower. Omega 3 & 6 are essential fatty acids. Omega 3 is found in oily fish, which is the finest source. A tablespoon of oil can be added every other day, there should be adequate fat in a natural raw diet, so no need for more.. 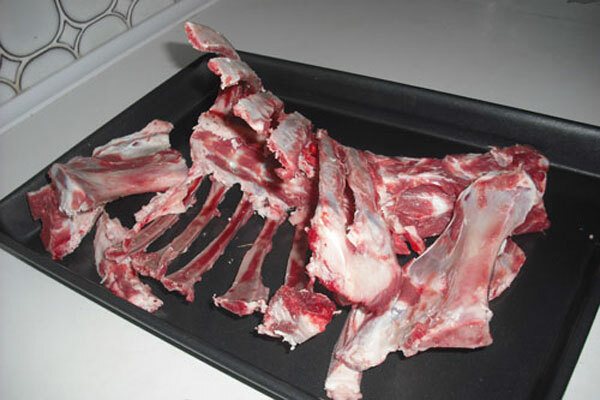 Raw meaty bones from chicken, lamb, beef, rabbit, pork, game, venison, usually feed one of these most days eg Day 1/chicken back, Day 2/ lamb bone, Day 3/chicken back, Day4/beef bone, Day 5/chicken back, Day 6/ pig’s trotter Muscle meat from chicken, turkey, lamb, rabbit, beef, pork, venison, game eg pheasant. Seafoods - fatty fish eg herring, mackerel, salmon (off-cuts from fishmonger), sardines – feed 1 – 2 x a week. Brewer’s yeast (pasteurised, good for B vitamins, selenium and chromium), Kelp powder (found in Dorwest ‘Keepers Mix), Molasses and/or honey (local is best), vitamin C.
Raw bones and chicken carcasses contain an abundance of glucosomine and chondroitin, naturally. 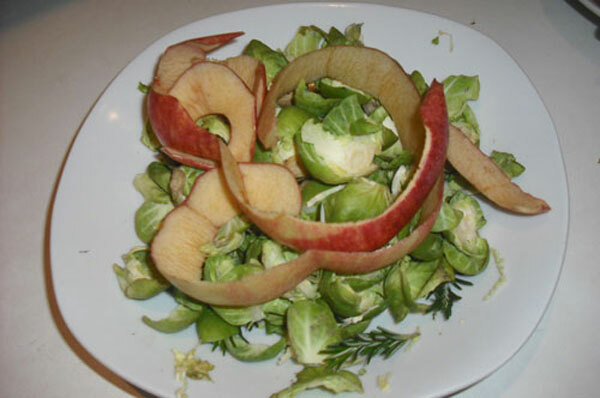 Sprouts & apple after a quick whizz in the food mixer, now ready to mix into meat, tripe etc. Feed relevant % of dog’s current weight per day, to include bones, preferably in 2 meals. Additional oils can be added to food a few times a week, eg salmon (Omega 3 & 6 are essential), olive oil, cod liver oil, sunflower oil, safflower oil etc. Organic apple cider vinegar is recommended a few times a week, simply mix in with a meal – many benefits, it is a natural blood purifier removing toxins from the body, helps clear up skin issues, breaks down fats and contains potassium, pectin, malic acid (natural anti-viral, anti-bacterial and anti-fungal), ash and acetic acid. We give Pippa one Vitamin C tablet (100 ml), 3 times a week, we simply say to her, 'sweetie' and she eats it obligingly! 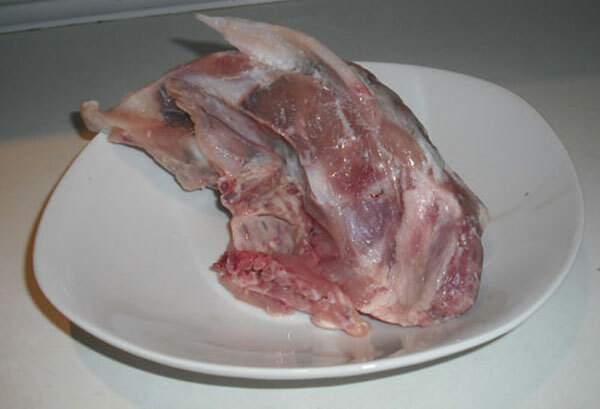 It is good for your dog to chew muscle meat as well as bones. Defrost in the fridge overnight, then Pippa has 2 for breakfast. Sheer happiness for Pippa! Avoid grain altogether, when dogs suffer allergies of any kind. Our dogs simply are not designed to eat them eg corn, wheat, rye, barley, rice (contrary to advice), couscous, bulgur wheat etc. Liver is quite, hmmm, slimy, so to err on the side of caution cut into bite-size pieces to avoid choking. If your dog has an upset tummy, give him/her a bone and/or root vegetables (eg cooked sweet potato or carrot) as a mixer the next day. If stools are hard, give some liver with vegetables above the ground eg liquidised cabbage, cauli leaves, spring greens, to address the balance. The 3 week meal plan was written to help everyone that has opted to feed their dogs on a natural raw diet and is unsure about how to start. I opted for 3 weeks because our dogs do not need a balanced diet in one meal (really not), not even in a day but over a 2 -3 week period. Once you get the hang of the diet, supplements and do's and don'ts, you will find yourself feeding this diet without thinking, just as you feed your own family! Simples! It is a joy to see how much your dogs enjoy a raw diet, they do not leave any and they just love it. The result is a content, happy, healthy dog. Dogs really do get bored of kibble, but my girlie never gets bored with her food, she loves it. 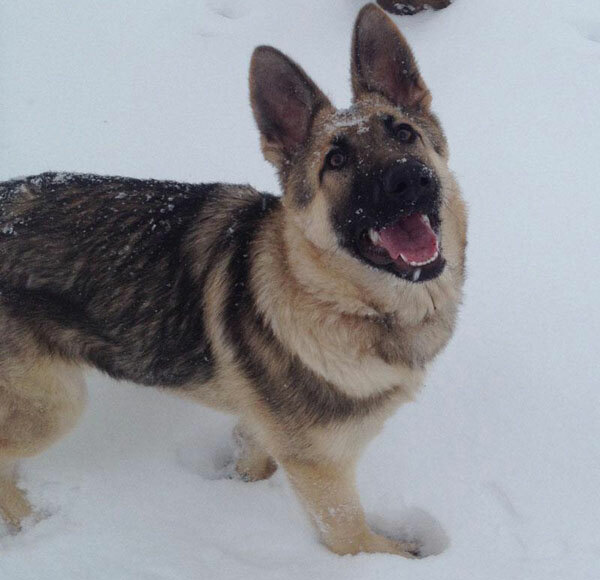 Please do not feed potatoes if your dog has a tendency to ear infections as it promotes yeast production. Unlike human’s, it is essential that dogs eat fat in larger proportions than us, (up to 40% for a healthy dog) to fulfil their health needs. Suppliers of Natural Raw Meat for Dogs. Raw2Paw : delivers south west mainly, high delivery charge/ no minimum order. Honeys Real Dog Food Small, ethical, family-run dog food company. What does Molly Moo think of her raw food diet? We think she likes her raw food diet. 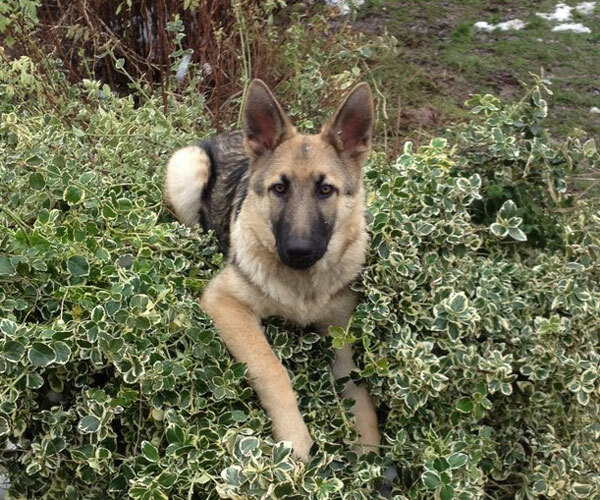 A dog in the bush?! !